The Walking Dead offers a poignant mid-season premiere as it bids farewell to a major cast member. Following the shocking scenes of the mid-season finale way back in December of 2017, you may be forgiven for thinking The Walking Dead has lost its touch. For many the show is a shell of its former self, no longer providing the drama and suspense it used to in its earlier seasons. The decision to kill off Carl Grimes (Chandler Riggs) was a poor one that proves the show’s inability to provide thrills without needless shock value. But from the ashes of such a decision, the show has breathed some new life into its story, for now. The episode titled “Honour” dives into the immediate aftermath of Carl Grimes being bitten before showing how it occurred. We see Carl like we’ve never seen him before: accepting his eventual death and trying to change the future for the better, despite the fact he wont be there. It’s strong stuff from a character and actor who have been routinely under-served in previous years on the show. There are also standout performances from Andrew Lincoln as Carl’s father Rick and Danai Gurira as Carl’s adoptive mother Michonne. It’s clear to Carl that his death could send Rick over the edge, as others have done before, so he attempts to calm his father in his last moments stating “It wasn’t the saviours, it just happened, I got bit”. He foresees a peaceful future with no more war and people living together for a better future. Elsewhere, Carol (Melissa Mcbride) and Morgan (Lennie James) must try and rescue King Ezekial (Khary Payton) who was captured by the Saviours in the last episode. They brush through some guards with Morgan showing no mercy as he brutalises several men on his way to the King. This was pretty standard fare but only really distracted from Carl’s scenes which acted as the main attraction. It will be interesting to see how the show progresses from here. Whilst the episode was fairly well executed and the scenes with Carl were poignant, I can’t avoid that deciding to kill him was and still is an awful decision, especially given Chandler Riggs seems adamant on social media that he was promised several more seasons. It undermines the progression the character has made since he started out just a boy and the bonds he has made with those around him. But the shows future remains uncertain and largely depends on how much longer this damn war will last. It feels like Rick and co. have been tussling with Negan (Jeffrey Dean Morgan) for years now and the show needs to move onto pastures new to really remain fresh and interesting. 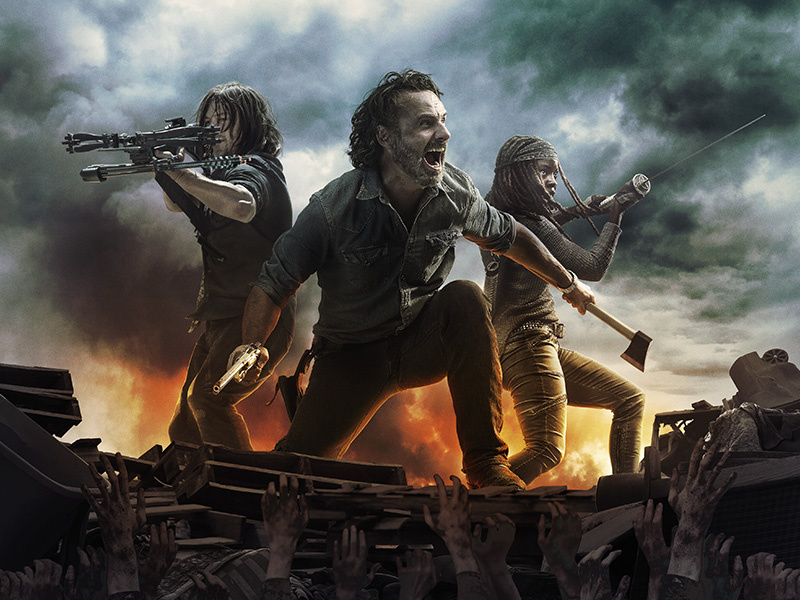 The Walking Dead continues next monday on FOX.